Brian is a fully certified NCCP Level III Coach. He comes to ROW after Head Coaching positions in Collingwood, Markham, Chatham, Ingersoll, and Blenheim. He also served as a Head Age Group in Markham. After having coached various sports as a volunteer in community and elementary and secondary schools in Chatham-Kent, Brian was drawn to the sport of swimming through his children. In 1997, with the enclosure of the outdoor pool in Blenheim, Brian became the volunteer Head Coach of the newly created Blenheim Swim Team (then known as the Foxtales) in their new facility. In 1999, Brian's professional coaching career started with the Ingersoll Speed Sharks. Over the years, Brian has had medal winners at Junior Provincials and Age Group Nationals. Two Provincial Meet records are currently held by 11 & U Boys Relays coached by Brian. They were set in 2009. Brian was the Head Coach of the Central Region Team that captured the Championship at the 2008 Ontario Summer Games. He had swimmers on the Central Region Team at the Ontario Summer games in 2008, 2010, and 2012. He was also a member of the Champion 2010 Canadian North American Cup Challenge Coaching Team. He recently coached a swimmer from Jordan at the FINA World Jr. Open Water Championships. Brian is one of a select group of coaches in Canada that has coached swimmers who have successfully swam across Lake Ontario(2011) and the English Channel(2012) in the swimmer's first attempts. In four of his seven years in Markham, Brian had the privilege to work with 2000 Olympic Coach Michel Berube. "It was a tremendous four years of learning under Michel", stated Lindsay. At ROW, he gets to work under another Olympic Coach, Russ Franklin. "I very much look forward to coaching under Russ’s leadership and working alongside a young and enthusiastic Coaching Staff at ROW. I am excited to teach the young swimmers to enjoy the sport of competitive swimming, take pride in their performances, and be positive role models in their community." He will oversee the Club’s Age Group program operations and delivery. 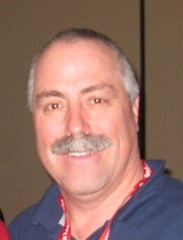 Brian has served as Coaches Representative for Western and Central Region Boards and on the Ontario Swim Coaches Board. He is currently serving his second term as a Board of Director for Swim Ontario.